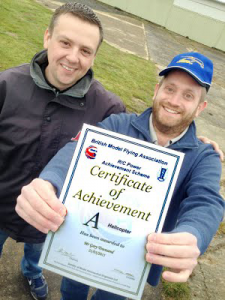 Aimed at BMFA ‘A’ certificate holders only. With the BMFA ‘A’ certificate for helicopters the CAA requirement for theory and practical training is NIL i.e. you don’t need to do any form of training. Our BMFA Area Chief Examiner knows the shortfalls in theoretical knowledge and has written this short course to fill in the gaps.